Tired of scrubbing down your Mosin after every shooting trip with corrosive surplus ammo? 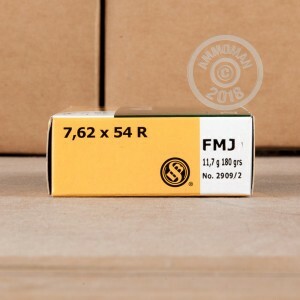 Try this new production 7.62x54R ammunition from Sellier & Bellot. This Czech-made ammo is relatively inexpensive but comes with modern conveniences such as non-corrosive Boxer primers and reloadable brass cases. Each cartridge in this box of 20 fires a 180 grain full metal jacket bullet. 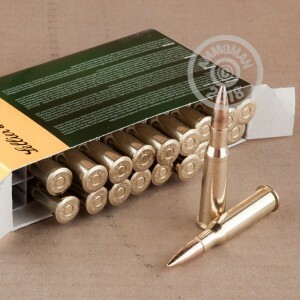 Grab all the ammo that's fit to shoot at AmmoMan.com and enjoy free shipping on all orders over $99.